Wilhelm Mayer was born on 5 December 1917 at Fürth in Bayern. Mayer was posted to JG 26 on 1 August 1941, following completion of his basic flying training.  He was initially assigned to 2./Ergänzungsgruppe/JG 26, where he underwent operational training. 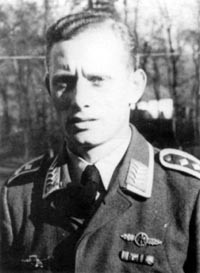 On 11 December, Mayer was transferred to 1./ Ergänzungsgruppe/JG 26 for a short period. On 9 January 1942, Unteroffizier Mayer was transferred to 6./JG 26. He flew his first combat missions in support of Operation Donnerkeil, the aerial protection of the German Navy’s battle cruisers Scharnhornst and Gneisenau and the heavy cruiser Prinz Eugen as they made their Channel dash from Brest on 12 February. He also participated in the aerial action over the Allied landings at Dieppe on 19 August. Mayer had four unconfirmed claims before he was able to record his first confirmed victory, a RAF Spitfire fighter shot down over the Somme Estuary, on 14 March 1943. On 30 July, Feldwebel Mayer was shot down by return fire from USAAF B-17 four-engine bombers he was attacking near Apeldoorn. He suffered slight injuries in the successful crash-landing of his Fw 190 A-5 (W.Nr. 7222) “Brown 4” at Netterden. He recorded his fifth victory on 3 September 1943, but had also added a further four unconfirmed claims. Mayer was transferred to 7./JG 26 on 15 September 1943. By the end of 1943, he had recorded nine victories. On 18 February 1944, 7./JG 26 was ordered to scramble from Grevillers to intercept a British formation of 15 RAF Mosquito twin-engine bombers escorted by eight Typhoon fighters implementing Operation Jericho, the attack on the Amiens prison to aid the escape of Resistance members held there. The formation was intercepted as it came off its bombing run. Mayer shot down the Mosquito flown by the officer commanding the mission, Group Captain Charles Pickard, for his 13th victory. On 16 April, Oberfeldwebel Mayer was awarded the Deutsches Kreuz in Gold for 15 victories. On 5 April 1944, Mayer was transferred to Jagdgruppe West to undertake instructing duties. He performed these duties with this unit until 13 June. On 14 June, Mayer was transferred to Jagdgruppe Ost, where he served until 30 June before again transferring, this time to Jagdgruppe Süd on 1 July 1944. Fahnenjunker-Oberfeldwebel Mayer returned to JG 26 on 24 July 1944 from his stint as an instructor. He was assigned to 5./JG 26. During the Allied parachute and glider landings at Arnhem, under code name Operation Market Garden, Oberfahnrich Mayer shot down two USAAF P-51 Mustang fighters over Nijmegen on 18 August for his 20th and 21st victories. When Leutnant Wilhelm Hofmann (44 victories, RK, killed in action 26 March 1945) injured an eye in a non-operational accident, Oberfeldwebel Mayer was often required to lead 8./JG 26 in the air. Mayer recorded his last victories, two RAF Spitfire fighters shot down near Kirchhellen, on 19 November. On 4 January 1945, a small formation of Fw 190s took off from Nordhorn. While the aircraft were still forming up RAF Spitfire fighters bounced them. In the ensuing combat Mayer was shot down and killed in Fw 190 D-9 (W.Nr. 500 052) “Blue 16” at Lohnerbruch. He was posthumously awarded the Ritterkreuz on 12 March. Wilhelm Mayer was credited with 27 victories achieved in 124 missions. Included in his total are six four-engined bombers, five Thunderbolts and five Mustangs. He also claimed 12 unconfirmed victories.